GoPro VR Player (formerly KolorEyes) is a free 360-degree video & photo player for Windows desktop, Mac OS X, and Linux. The Program allows you to both watch and interact with 360° videos on your computer at up to 8K resolution & 60 FPS (in Cineform or ProRes). It offers professional playback features. You can turn at 360 degrees, zoom in and out, change the projection and also apply visual effects. If you own a VR headset, split the screen to VR mode, slide your smartphone into the headset to experience the ultimate immersion! Use the GoPro VR Player application or its included plugin for Adobe Premiere Pro and proof your 360 content on a screen, or on various different devices: HTC Vive, Oculus Rift (up to Oculus Consumer Version 1), LeapMotion, Intel RealSense, Synchronisation of multiple players, and 3D TV. 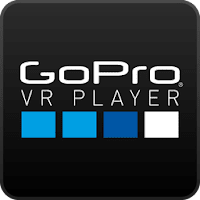 Disclaimer: Direct downloads for the lastest version of GoPro VR Player 2.3.1.400 are provided by the official software's author, we can't guarantee safety, availability or download speed. Moreover, we don't and we won't provide any pirated/illegal versions or tools. We recommend you to avoid it as these methods can harm your device. If you like the software, buy it to support the developers. (We provide software discounts for many worldwide brands).